Mukesh Residency is situated near Geeta Society, Synagauge Street, Lal Deval, Camp, Modi Colony, Pune. The property has classy rooms with simple and pleasant wall papers. They are simple and comfortable giving a satisfied stay to the guests staying here. The property offers the visitors with completely furnished and modern rooms for a comfortable stay. 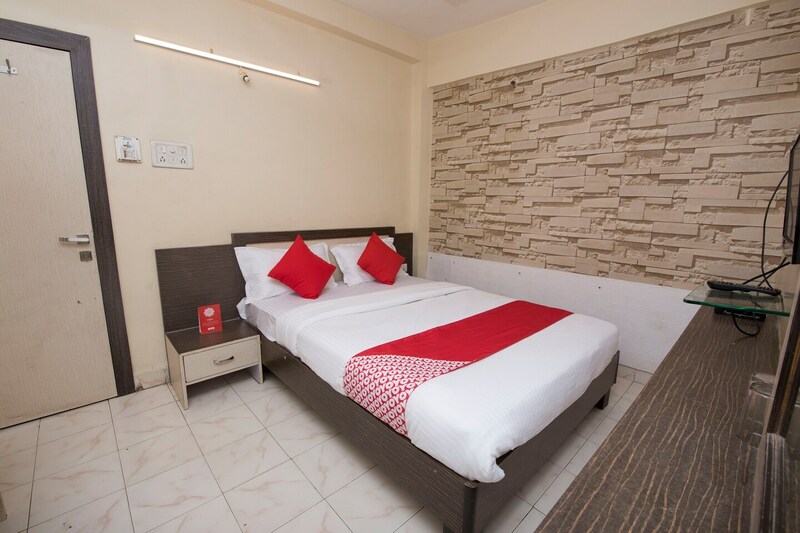 The property offers other amenities like power backup facility, cash less card payment options and CCTV camera to ensure the security and safety of the guests in the property during their stay. The visitors of the property can take a tour to the key tourist attractions of Pune city like Buddhist Temple, Wageshwar Lake, Anandvan, Rajiv Gandhi Zoological Park, Parvati, Pashan Tekdi, Vetal Hill and Samay Point. There are many restaurants located around the property for the visitors like Cactus Restaurant, Aaoji Khhaoji, Majestic Restaurant, Cafe Garden,Supriya Restaurant and Hotel Maratha Samrat.